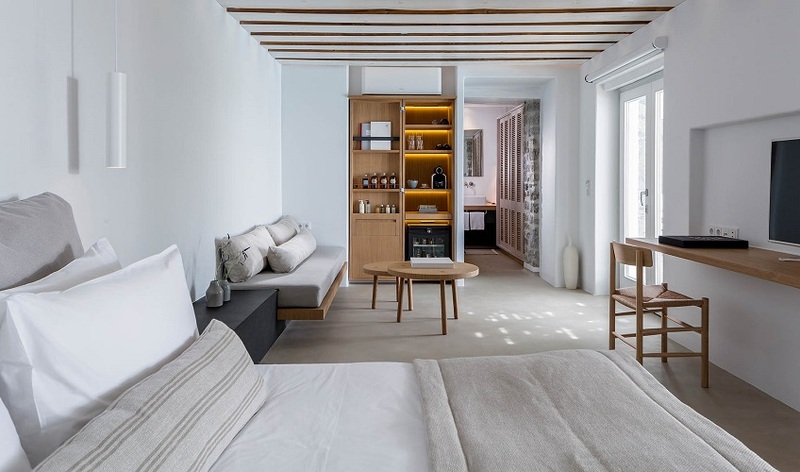 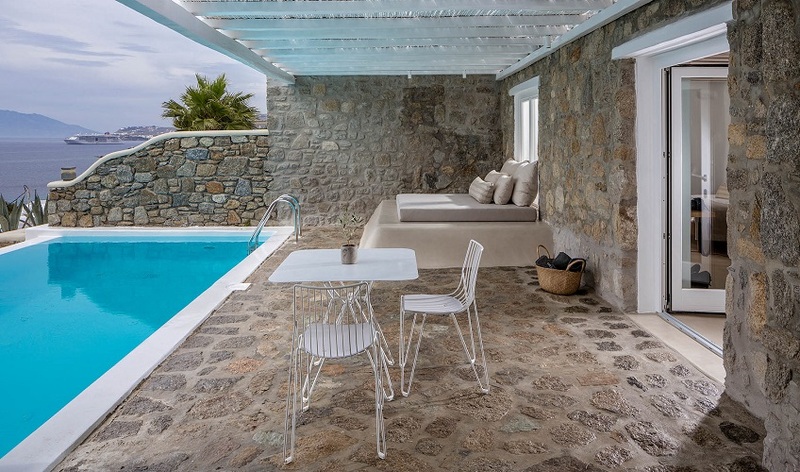 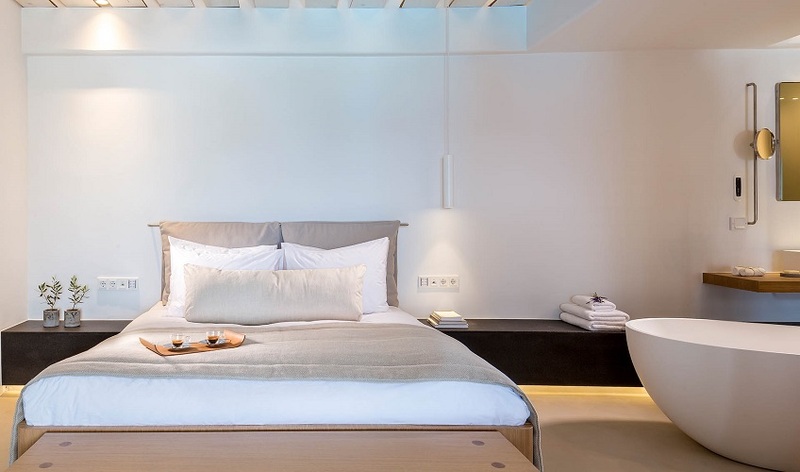 Bill & Coo Suites and Lounge is about a 10 minute walk from the center of Mykonos Town on the island of Mykonos in Greece. 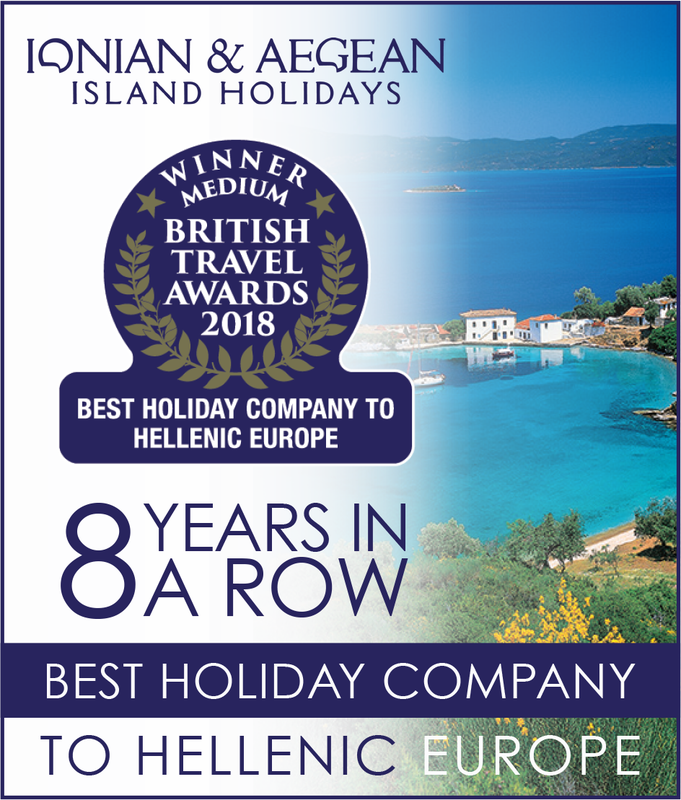 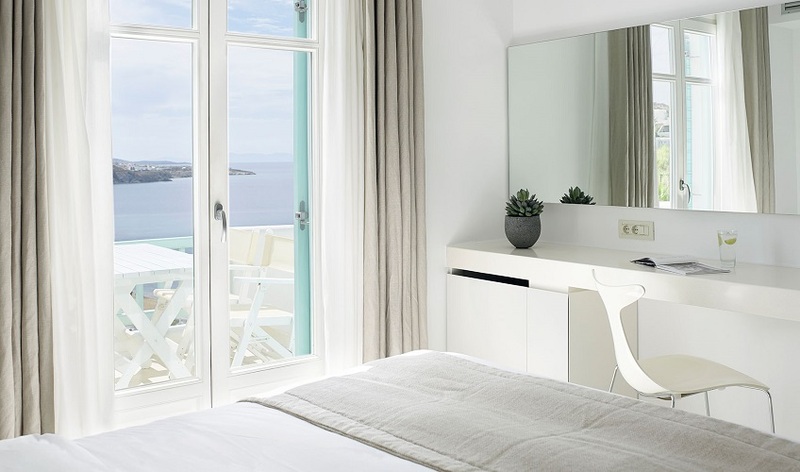 This hotel in Mykonos is a great tip for fashionable travelers planning a romantic vacation or a honeymoon on one of the Greek islands. 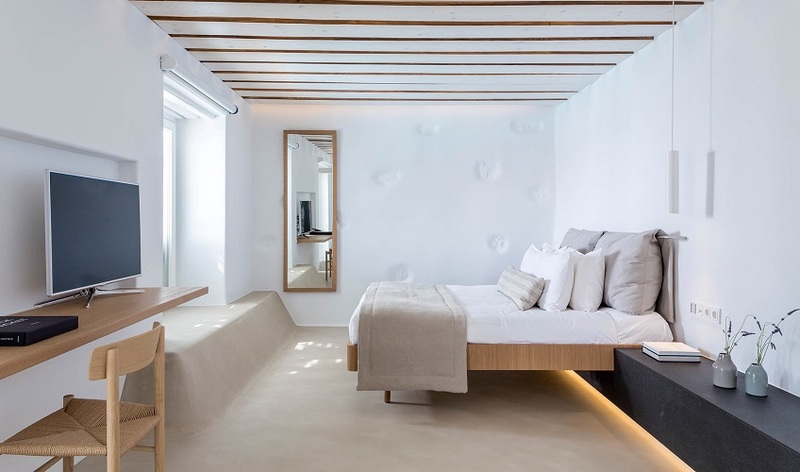 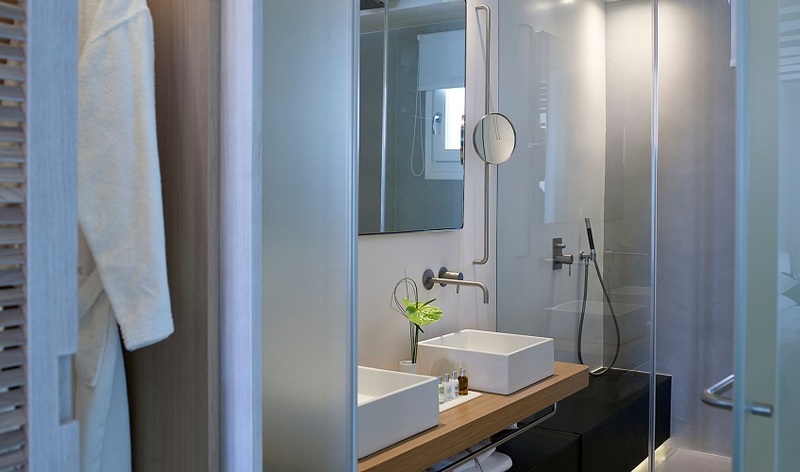 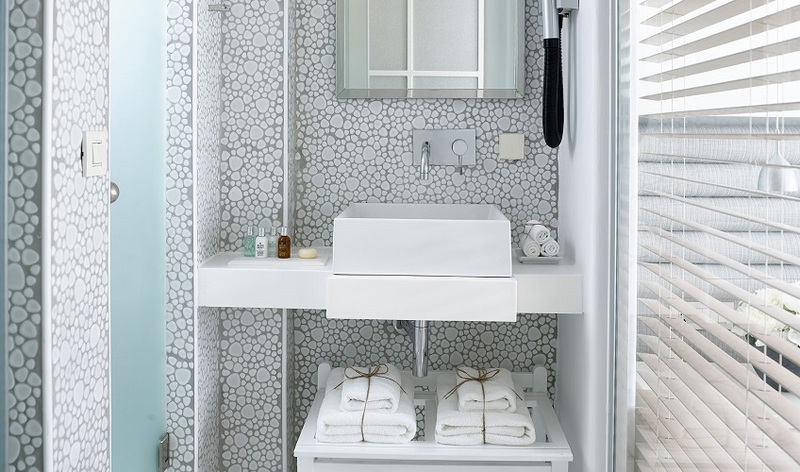 The 32 , fully renovated suites will entice you with their modern appearance, all in white with an excellent eye for detail. 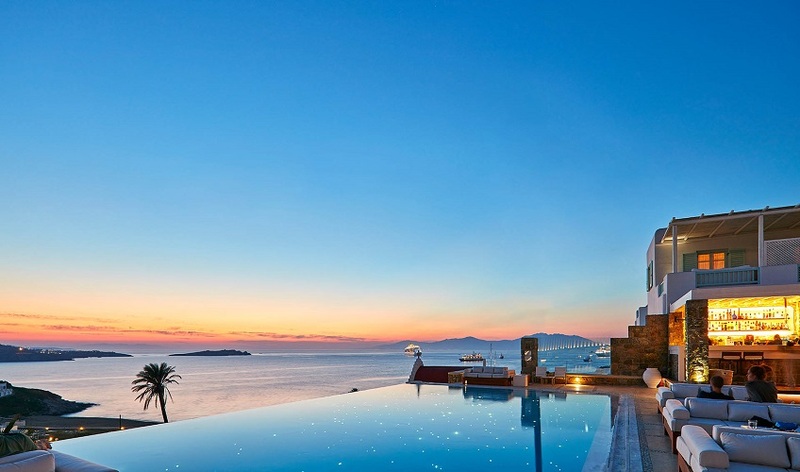 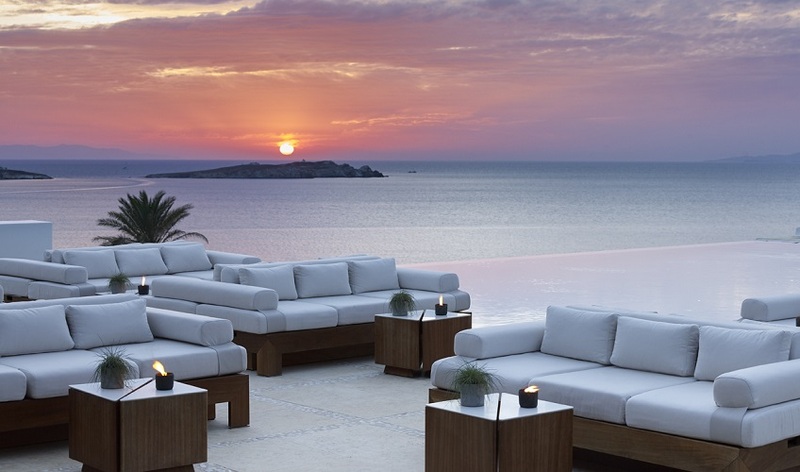 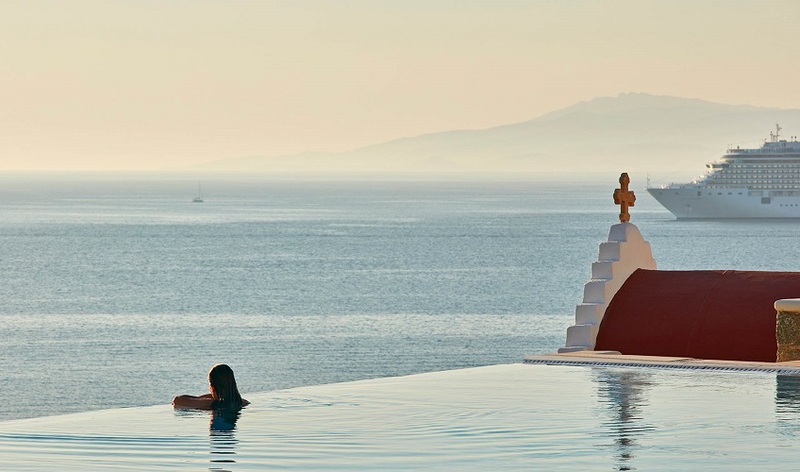 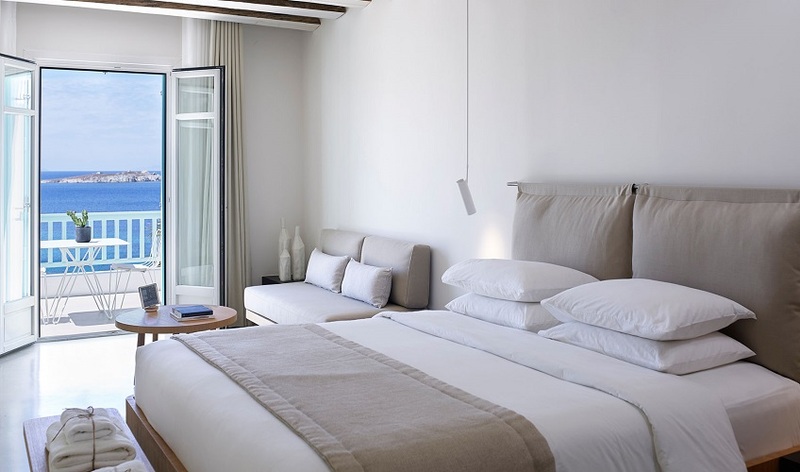 An exquisite hotel restaurant, an outdoor pool bar and a sleek infinity pool offering an unforgettable view of the bay near Mykonos Town round off the service package of the design hotel. 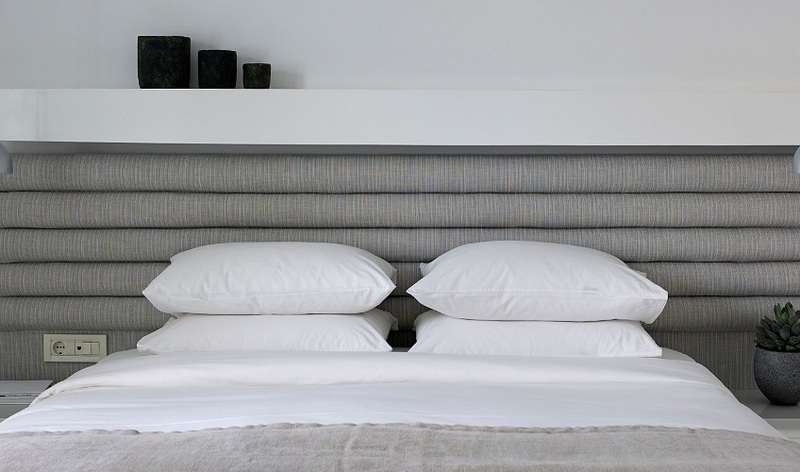 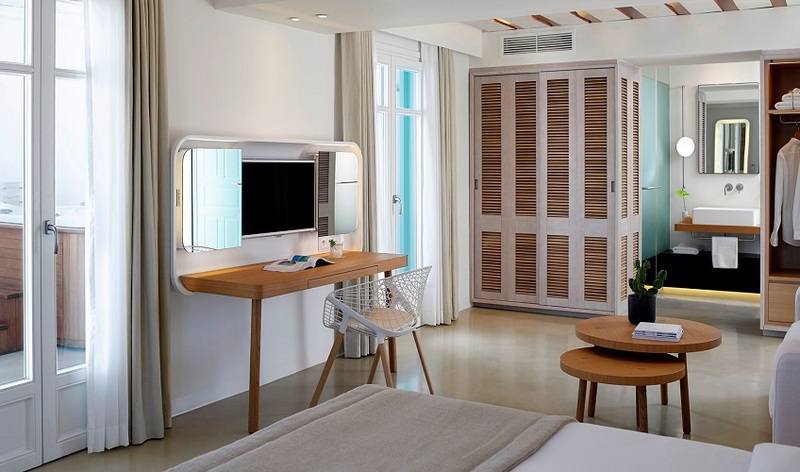 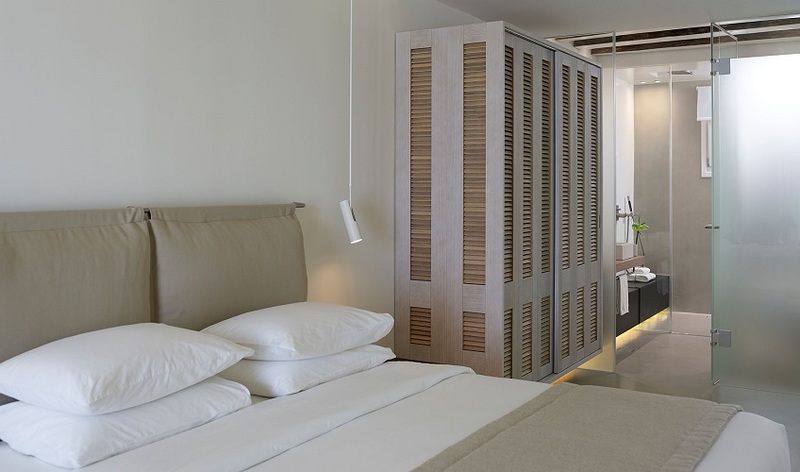 All suites feature the same fabulous minimal design with wooden details and smart home facilities. 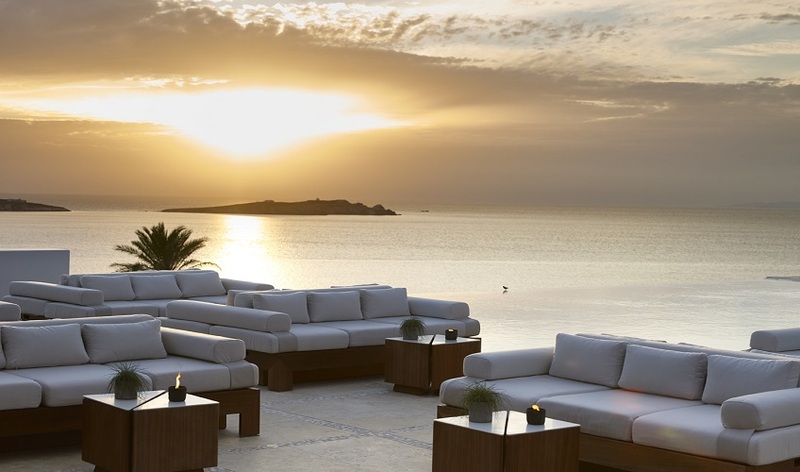 The view is guaranteed to be one of your best memories of the trip, promising unforgettable sunsets over the Aegean Sea. 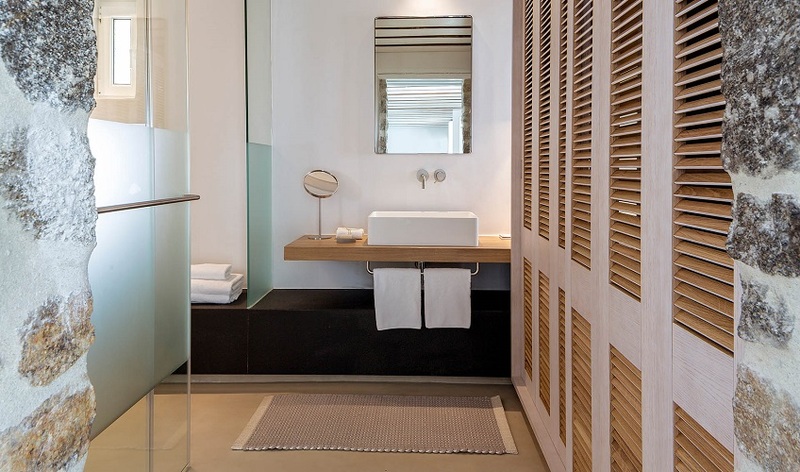 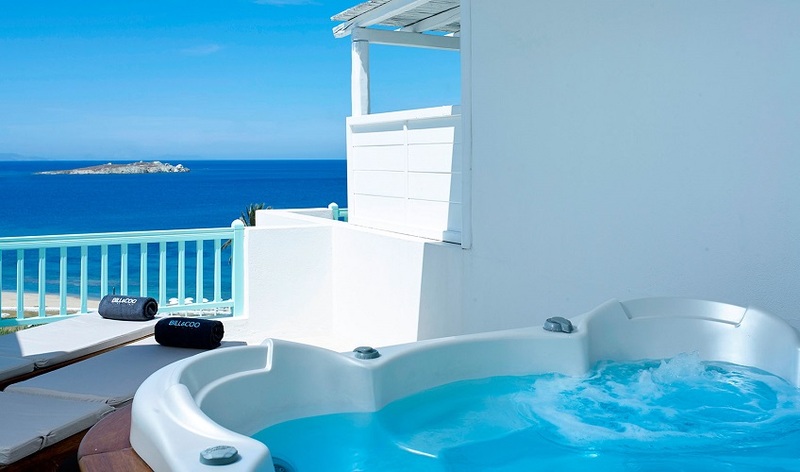 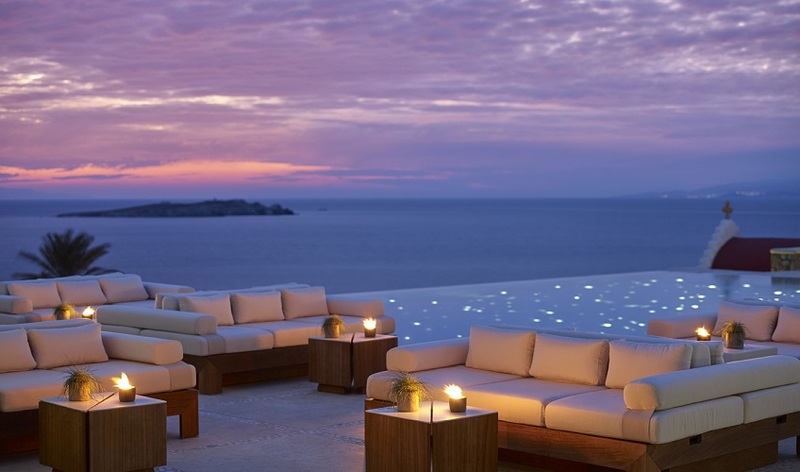 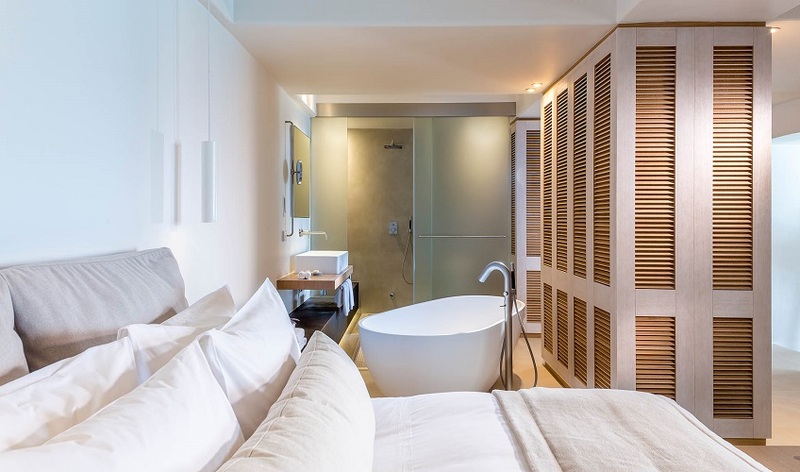 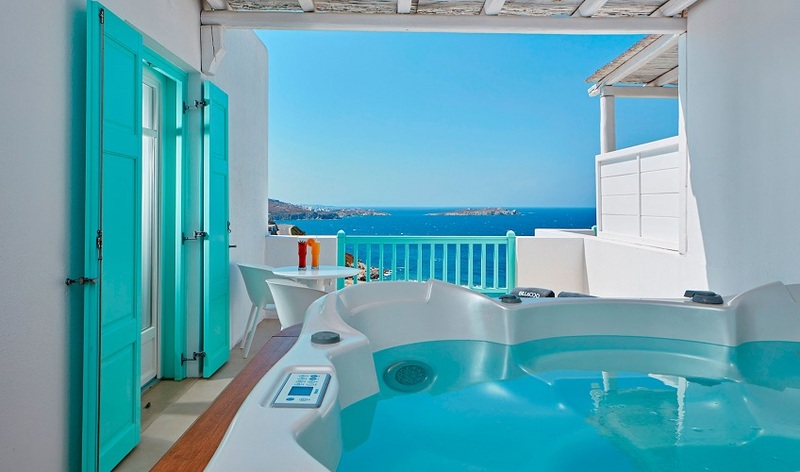 No amenity is left out on your relaxing vacation to Mykonos. 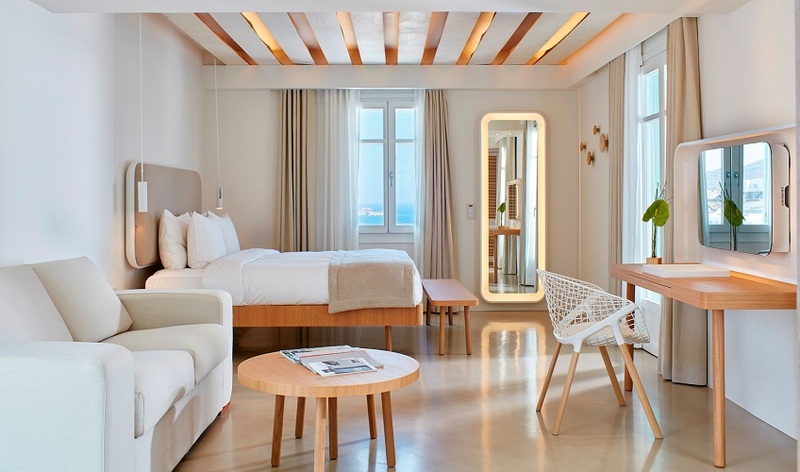 The center of Mykonos and all of its bars, restaurants and shops is only a short walk away from the Bill & Coo Suites and Lounge. 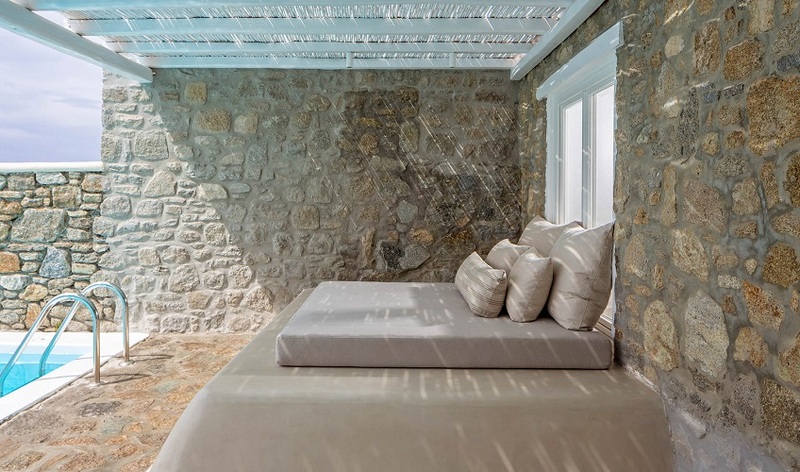 The next beach (Megali Ammos) is only a few hundred meters away.